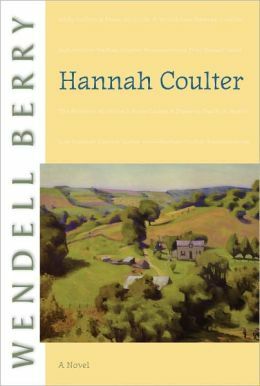 I've talked about Hannah Coulter several times: the books I can't stop recommending, a book I've read more than once, what to read when you feel like the world is falling apart. Hannah's second husband Nathan Coulter (her first died in the war) was reticent to talk about his experience in the Battle of Okinawa. "Ignorant boys, killing each other," is all he would say. In this atmospheric novel, an older Hannah looks back on her life and reflects on what she has lost, and those whom she has loved. I adore Berry, who writes gorgeous, thoughtful, piercing novels, and this is one of his finest. Contemplative, wistful, and moving. 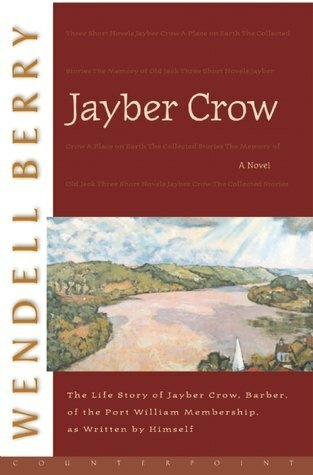 Jayber Crow returns to his native Port William, Kentucky after the 1937 flood to become the town’s barber. There he learns about the deep meaning of community, the discipline of place, and what it truly means to love. This is a gorgeous novel. I adore Berry's evocative, deceptively simple style, in prose or poetry. This collection holds so many favorites: a few include To My Mother, Window Poems, Manifesto: The Mad Farmer to the Liberation Front, and The Blue Robe (google that one right now). 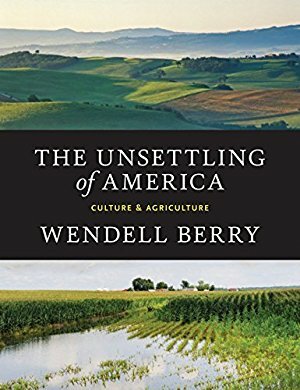 From the publisher: "Only a farmer could delve so deeply into the origins of food, and only a writer of Wendell Berry's caliber could convey it with such conviction and eloquence. Long before Whole Foods organic produce was available at your local supermarket, Berry was farming with the purity of food in mind. In recognition of that influence, Michael Pollan here offers an introduction to this wonderful collection. This collection joins bestsellers The Omnivore's Dilemma and Animal, Vegetable, Miracle as essential reading for anyone who cares about what they eat. The essays address such concerns as: How does organic measure up against locally grown? What are the differences between small and large farms, and how does that affect what you put on your dinner table? 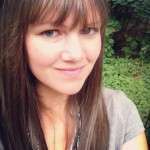 What can you do to support sustainable agriculture?" I adore Berry's evocative, deceptively simple style, in prose or poetry. 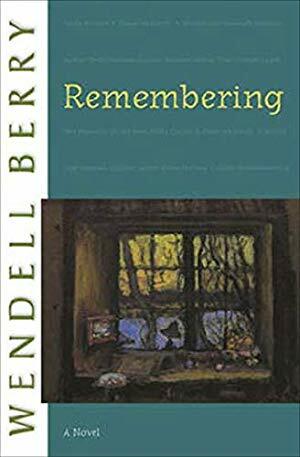 From the publisher: "For nearly thirty-five years, Wendell Berry has been at work on a series of poems occasioned by his solitary Sunday walks around his farm in Kentucky. 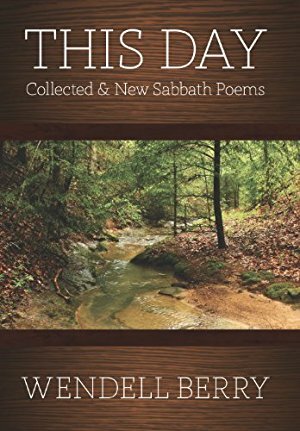 With the publication of this new complete edition, it is becoming increasingly clear that The Sabbath Poems have become the very heart of Berry’s entire work." I adore Berry. 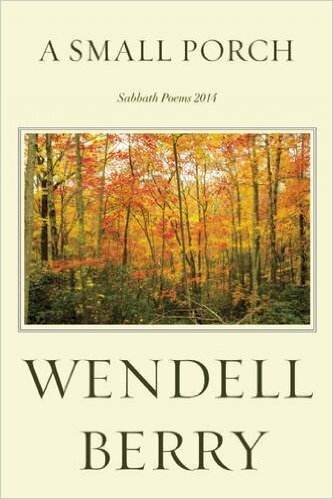 From the publisher: "Wendell Berry argues that good farming is a cultural development and spiritual discipline. Today’s agribusiness, however, takes farming out of its cultural context and away from families. As a result, we as a nation are more estranged from the land—from the intimate knowledge, love, and care of it. Sadly, his arguments and observations are more relevant than ever. 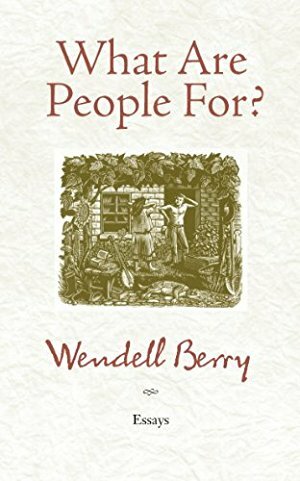 Although 'this book has not had the happy fate of being proved wrong,' Berry writes, there are good people working 'to make something comely and enduring of our life on this earth.'" Berry's Port William collection holds some of the best novels I've ever read. 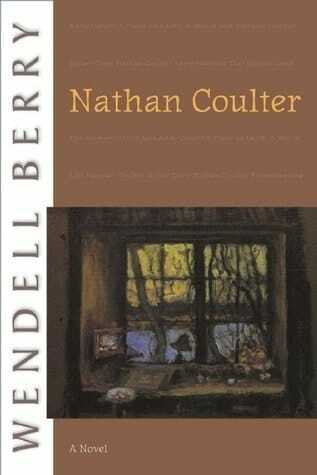 This is the first book in the loose series, which contains later books such as Jayber Crow, Hannah Coulter, and Andy Catlett. I adore Berry's evocative, deceptively simple style. 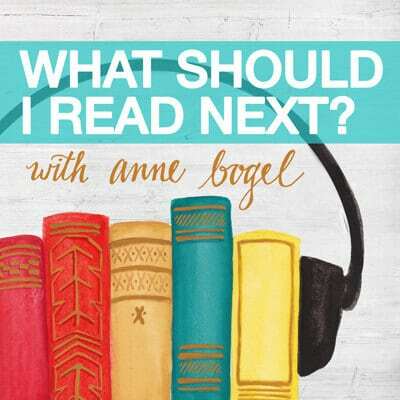 From the publisher: "Ranging from America’s insatiable consumerism and household economies to literary subjects and America’s attitude toward waste, here Berry gracefully navigates from one topic to the next. He speaks candidly about the ills plaguing America and the growing gap between people and the land. 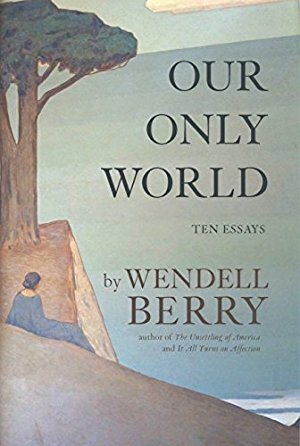 Despite the somber nature of these essays, Berry’s voice and prose provide an underlying sense of faith and hope. He frames his reflections with poetic responsibility, standing up as a firm believer in the power of the human race not only to fix its past mistakes but to build a future that will provide a better life for all." 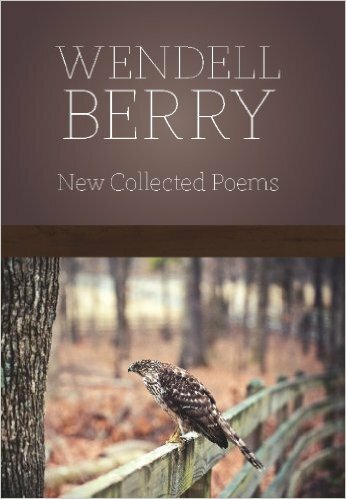 I adore Berry's evocative, deceptively simple style, in prose or poetry. 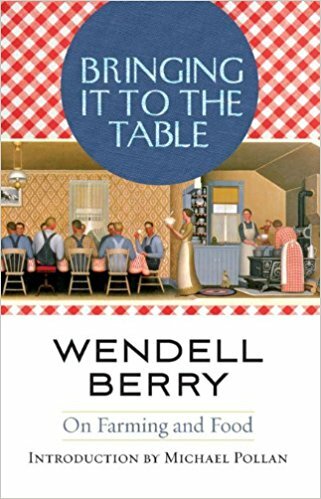 I adore Wendell Berry, who writes gorgeous, thoughtful, piercing novels. Berry's Port William collection holds some of the best novels I've ever read.